As a long weekend came about, I couldn’t let this chance slip by. I packed my stuff (the bare minimum) and set out to explore as much of Japan as I could during the next 4.5 days. 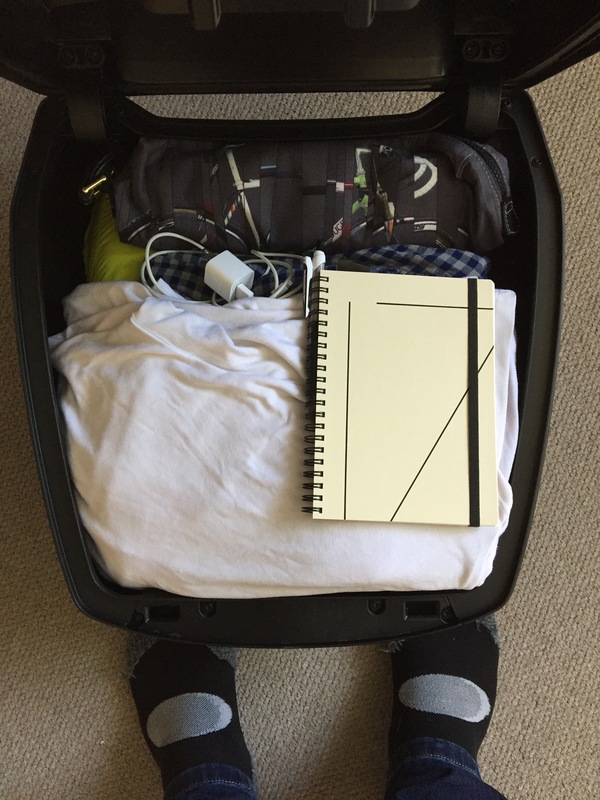 I wrote some journal entries during this trip, which I’ll share just as the way they were written down originally, over the course of the next few blog posts. My goal was to write an entry a day. Wednesday, 21st of September, 2016. BMW R1200R. 4.5 day tour. Tsuruoka > Shikoku > Tsuruoka. Sometimes, when you’re busy at work, you get used to moving quickly from one task to the next, all the while thinking of ways to maximize your efficiency and output. And sometimes that causes a bit of stress. 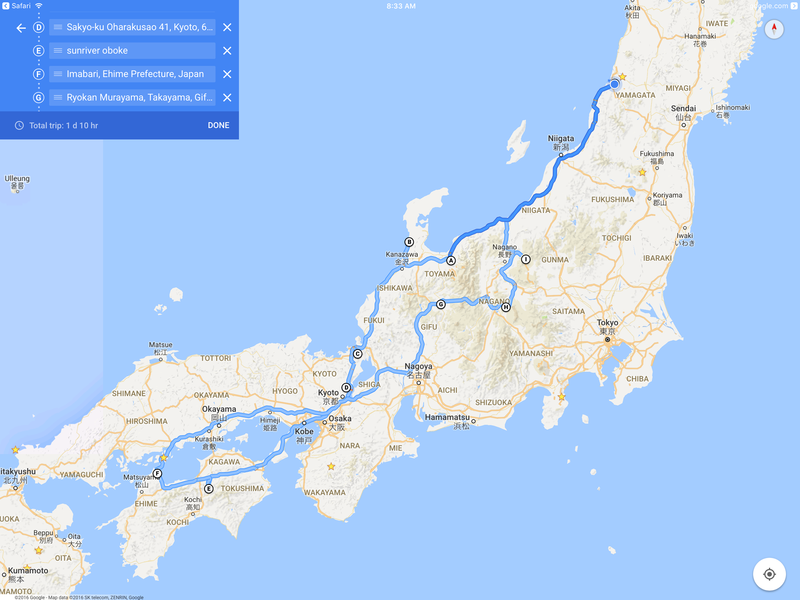 The last thing I want to do is take some of that stress with me over the next few days, as I travel about 2500 kilometers around Japan. That is why I have decided to make ‘this’ my starting point. ‘This’ is Coffea. As I walked in, pushing the rustic old wooden door, the incredibly pleasant and soothing aroma overwhelmed my senses. Gradually, as I began to sit down, I began to hear the classical music playing in the background accompanied by the sound of coffee beans being hand-picked by the coffee master himself, or as my father would call him; ‘the Doctor’. This is how my routine fast-paced sense of time began its distortion. It feels like nothing’s matters, nothing at all, but for this exact moment. For the duration of this trip, I’m going to be doing a lot of riding. And for an unaccustomed motorcycle rider, that may seem very repetitive, mundane or even crazy. But here I am, witnessing ‘the Doctor’ experience his life. For years, day after day, he has been going through (what may seem) a very repetitive and boring routine. He wakes up early in the morning and roasts his coffee beans. Opens up his shop at ten. Sells beans and serves coffee to the customer that walk in. Then closes up shop at 7pm. But anyone who appreciates the art of coffee would not be able to help but fall in love with this beautiful place. It may appear that it has taken him about 5 minutes to make this coffee, but in reality it has taken him decades to make this coffee. (Which is beyond words can describe. I just finished taking my last sip.) To ‘the Doctor’, his life isn’t boring or mundane, its perfect. Every day is a completely new adventure which revolves around something he loves, and gets to share with others. I’m grateful to be able have been on the receiving end, and am ready to hit the road. Thank you, Mr. Doctor, not just for these priceless moments, but for inspiring me to start off this trip in just the right mindset. « To run, or not to run. 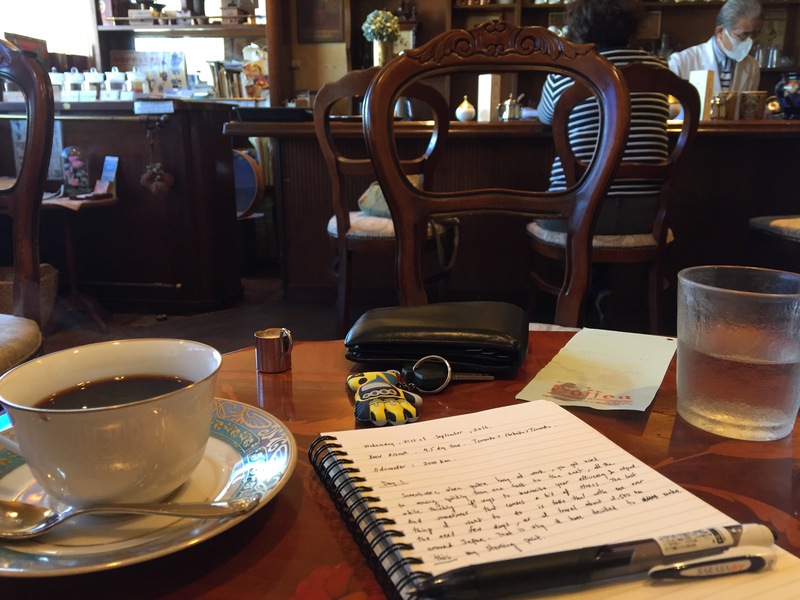 So happy to see you writing again…. and what a comeback! I enjoyed sipping every word and I am looking forward to joining you on this journey. Can’t wait for the next entry!